Thanks to WKO4 and the work of Dr. Andy Coggan on developing various running metrics, I have been able to begin to explore running effectiveness and the factors that might influence it. I have no definitive formulaic answers, but I do have some insights gained from experience and research. Both Running Economy and Running Efficiency have specific physiologic definitions and methods of arriving at their respective values, and neither one can be measured with data generated from a running power meter alone. Therefore, we use Running Effectiveness (RE) as a substitute for “efficiency or economy.” RE is calculated by dividing speed (in meters per second) by power (in watts per kilogram). In my observations of runners, both male and female, from high school to collegiate competitive levels, at speeds from sub-threshold to maximal aerobic and higher, I have seen that RE typically tends to correlate somewhat with increasing speed (see the chart below). Since RE is speed divided by power, therefore for RE to increase as demonstrated in the chart, speed has to increase more than power. Not all runners are equally efficient or economical, and a given runner may not perform equally efficiently or economically throughout a single run (at least as measured by RE). If a runner’s RE remains uniform, speed should respond proportionately to power; when power goes up, speed goes up proportionately, and RE remains unchanged (within a band of threshold speed/power +/- 10 percent, for example). However, this often does not happen. Why? Because running speed is a product of more than just power. So the question at hand is what factors other than power might correlate with increased speed, or more specifically, with increased RE? In other words, what factors contribute to the added efficiency/economy (the hidden component contributing to higher speed relative to power), as demonstrated by increased RE? One set of metrics that may impact RE are the components of Gross External Power (computed by Stryd) and how they correlate with speed. Gross External Power on flat terrain consists of the components of both horizontal power (the power used in moving the center of mass horizontally) and oscillatory power (a.k.a. form power, the power used in moving the center of mass through the vertical oscillations of running and bouncing). Below is a slide by Andy Coggan, Ph.D., that displays his adaptation of a graphic developed by Hoogkamer, Taboga, and Kram and depicts the various metabolic costs of running and their corresponding power components. The same run segment is analyzed in the chart shown below, again showing a modest increase in RE versus speed. As expected, Stryd power correlates with speed. However, the slope of horizontal power is greater than that of the raw Stryd power. Oscillatory power (form power) declines more subtly than speed. Consequently, it appears that relatively greater horizontal power is generated as speed increases. The same segment is again displayed in the chart below, now with power components versus RE. Here we can see that raw Stryd power negatively correlates with RE during this run. Oscillatory power has virtually no correlation with RE, while horizontal power does positively correlate with RE. From these analyses, we can see that a relative increase in horizontal power may be associated with an increase in RE. Could this be reflective of subtle form changes that increasingly direct power more horizontally with increased speed? Both cadence and ground contact time (GCT) correlate with speed. The same run segment is shown in the chart below, and we can see that GCT decreases and cadence increases with higher speed. The same relationships hold for cadence and GCT versus RE, as shown in the chart below. Perhaps the more intriguing relationship with RE is that of Kleg (leg spring stiffness), because literature suggests that this may be trainable. I consider Kleg to be an extra component that may drive speed without metabolic cost. Let’s look at the same runner and the same run segment, shown on the chart below with Kleg, horizontal power, oscillatory power (form power), and RE versus speed. While we see the shuffling of the metabolic components of horizontal power and oscillatory power as discussed earlier, we also see the positive correlation of Kleg with speed, with a higher slope than horizontal power. Now let’s look at Kleg, horizontal power, and oscillatory power (form power) versus RE in the chart below. Kleg appears to have a stronger correlation with RE than power in general, and with horizontal power specifically. While we’ve looked at one specific run from one specific runner, these observations are representative of multiple athletes and multiple runs. I see these patterns in male and female runners from high school to collegiate competitive levels, at speeds from sub-threshold to maximal aerobic and higher. In running, speed is a product of both external power (as computed by Stryd) and other efficiency/economy factors that may increase speed at a faster rate relative to power. Kleg, GCT, cadence and a shift to a greater component of horizontal power have all been identified as having a correlation with speed and with RE. It is important to remember that the charts I have presented do not establish causation, only correlation. The natural follow-up question would be: of the components we have discussed, which are trainable or actionable? And further, which can be enhanced without adding a corresponding effect-neutralizing metabolic cost? I suspect that globally modifying cadence may come at a corresponding effect-neutralizing metabolic cost. I also suspect that GCT is trainable, and perhaps even form-related factors in manifestation of horizontal power. It is possible that Kleg is trainable, and possibly without metabolic cost. If so, then Kleg may be a key to expanding Running Effectiveness. As I said initially, I have no formulaic answers, but I am gaining insight into the runners that I work with and learning how to enhance their training beyond building power parameters. 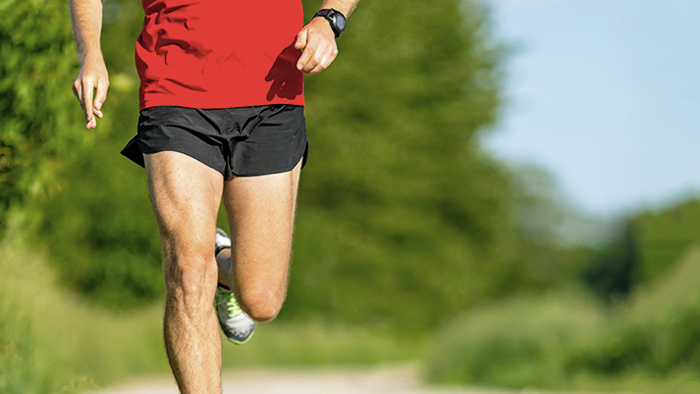 Interested in harnessing the powerful analyzation tools of WKO4 to improve your running efficiency? Try it now with this free 14-day trial. Steve Palladino is a running coach at Heart & Sole Speed & Endurance Club. He holds a 2:16 marathon PR, 54:27 40K Cycling ITT, qualified for the 1980 US Olympic Trials, and is the winner of the 1978 San Francisco Marathon. He is a retired DPM foot and ankle surgeon, and has been training and racing with a power meter and WKO user since 2003.